The Swedish Armed Forces is the Swedish Government Agency responsible for the maintenance and operation of the armed forces of Sweden. The primary task of the Swedish Armed Forces is to train, organise and deploy military forces, domestically and abroad, while maintaining the long-term ability to defend the country in the event of war. The Armed Forces consists of three service branches; the Army, the Air Force and the Navy. Since 1994 the three branches are organized in one unified Government Agency. Easily portable for indoor and outdoor use. DC or AC from 12v to 240v power supply. 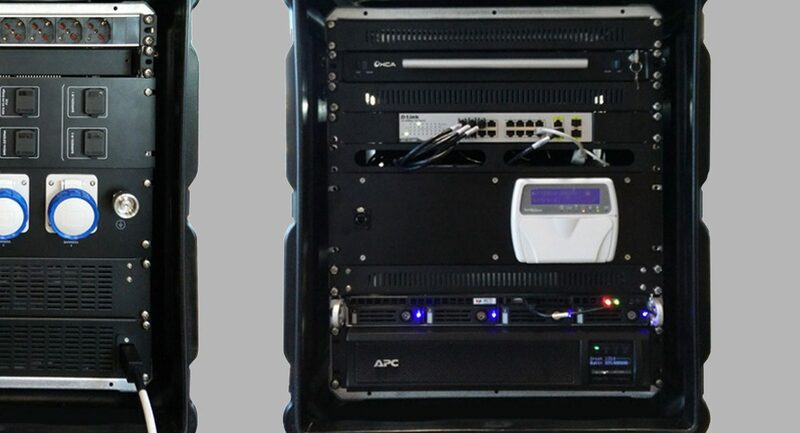 Equipment to be mounted in easily replaceable rack chassis. 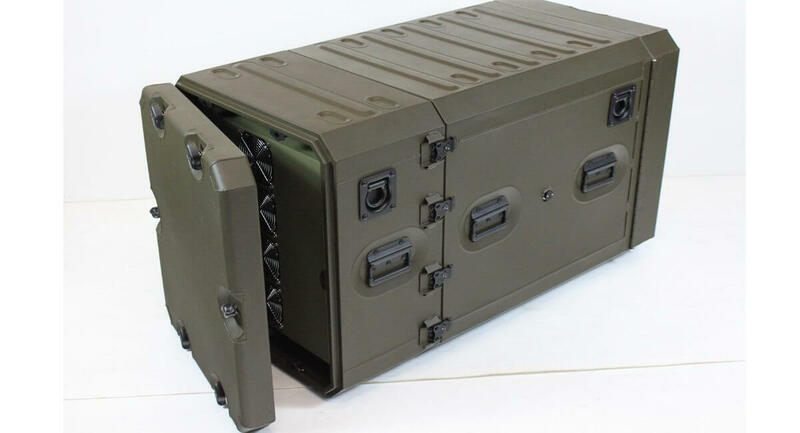 As case and rack customisation specialists, CP Cases rose to the challenge through designing and manufacturing each of the capabilities listed. 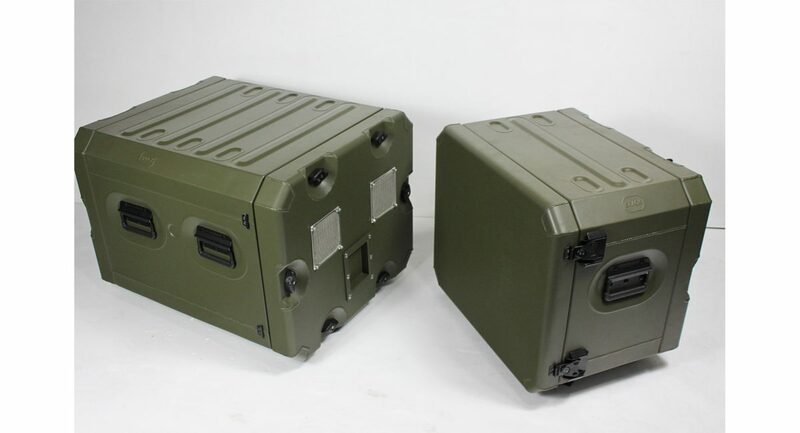 Further to investigation, CP Cases were able to develop a brand new product and addition to their line that exceeded expectations for this project. 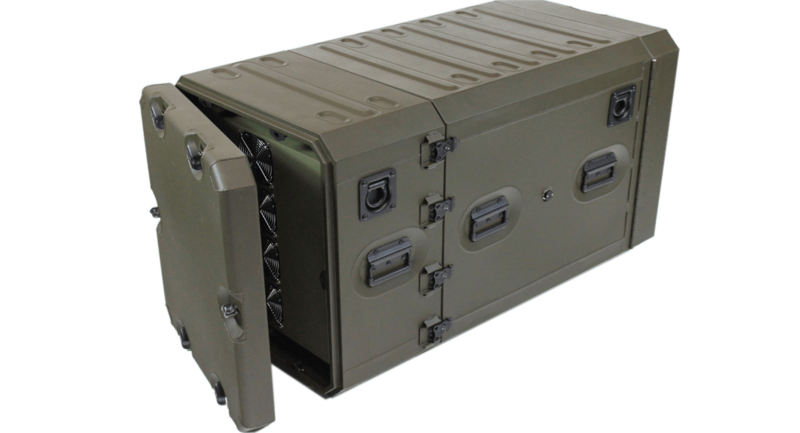 The product created was ERack™, a 19-inch aluminium rack system that is lightweight, strong and portable, perfect for deployment in mission critical situations and provides protection against physical, climatic and electromagnetic hazards. A lightweight chassis, mounted on anti-vibration elastomeric mounts is fitted as standard, but for this task CP Cases created a removable chassis, called EasyGlide™, which is now available as an optional extra. 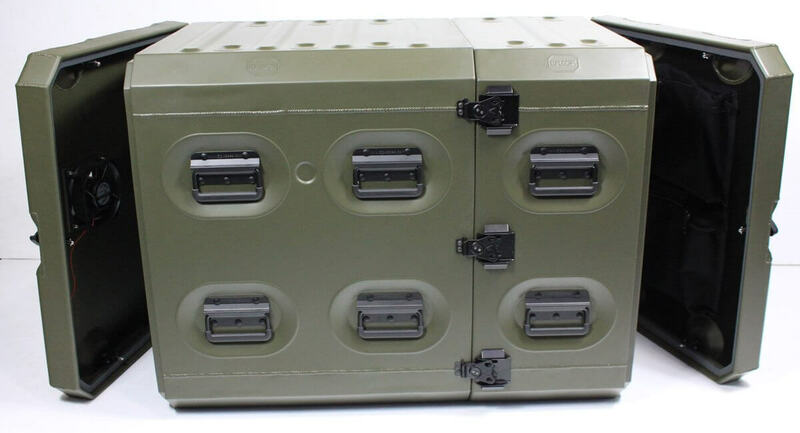 Access to the front and rear is facilitated via precision manufactured interchangeable lids that are secured to the rack body by front mounted quarter turn latches (allowing front and rear access when stacked), which incorporate a patented-design silicon seal giving all weather protection to IP65. ERack’s unique male/female design provides positive location between lids and body, limiting the possibility of incorrect fitting which could lead to contaminants entering the rack body and effecting equipment. 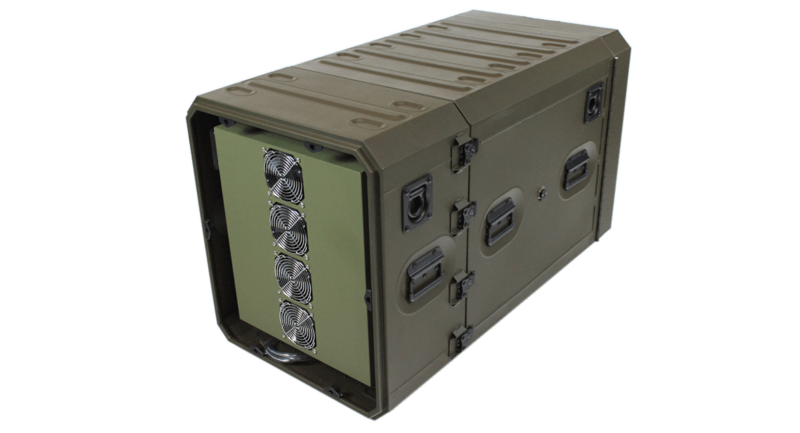 A COOL-Collar™ air conditioning system was added to allow adaptability to different climates with DC powered 24V fans for portability. Now becoming the industry standard, the thermoelectric air conditioning units provide part of a customised solution to provide the optimum working conditions for equipment. 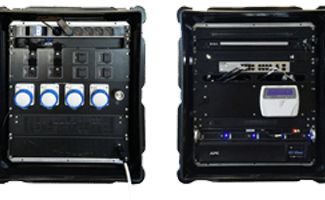 ERack is a 19-inch aluminium rack system that is lightweight, strong and portable, perfect for deployment in mission critical situations and provides protection against physical, climatic and electromagnetic hazards. 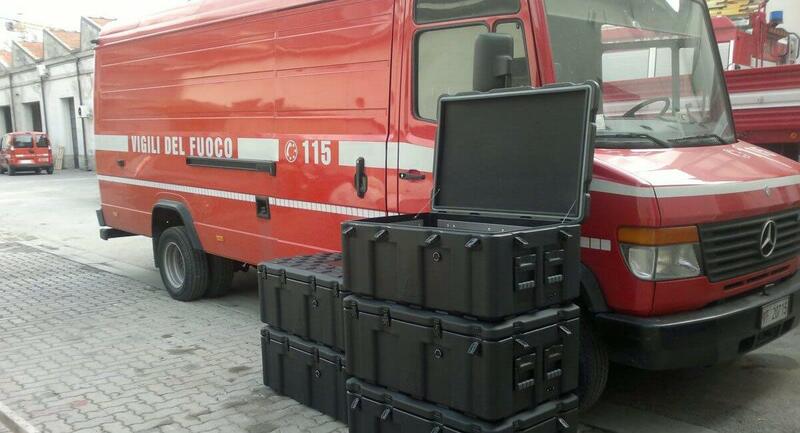 Rapid deployment of support equipment for search and rescue teams as directed by the European Union’s Commission . 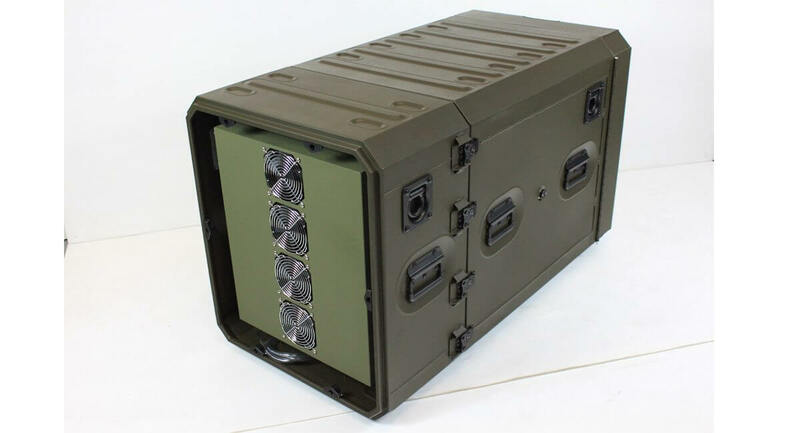 The Italian Army Aviation has recently received the first CCTV video surveillance deployable kit.